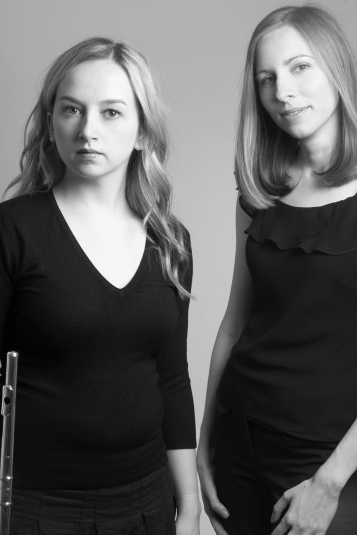 Kimberley Boyle (flute) and Rachael Bennett (piano) have enjoyed making music together since they met as students at the Royal College of Music. As an established duo they have performed throughout the U.K. for numerous music societies and festivals. They have a wide and varied repertoire which includes the core 20th century works, lighter arrangements and showpieces. Kimberley and Rachael also like to explore lesser known and contemporary works with a view to creating fresh and interesting programmes for their audiences to enjoy. Duo Nouveau can construct various programmes, either for a formal evening recital with interval, shorter lunchtime concert or lighter background entertainment to suit any event. We welcome consultation with you as to the styles of music your audience would enjoy or any other special requests you may have. www.kimberleyboyle.com For further information, a full repertoire list and sample programmes.